RUSH: The next story that’s unrelated to what’s hap… Well, it’s somewhat unrelated. 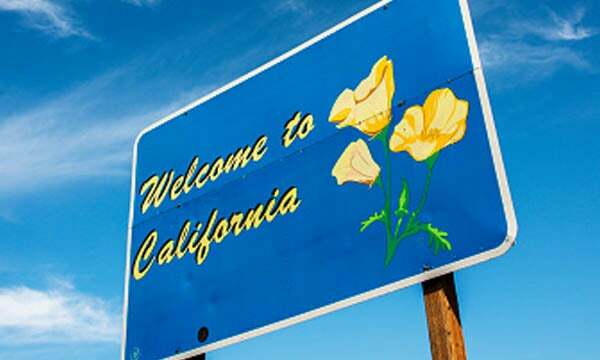 Another California city has rebelled against California’s pro-illegal immigration sanctuary city policies. We did our Morning Update on this today. I think there’s something happening in California that is underneath the radar. This sanctuary city business has got a lot of California cities opposing it, and they are not joining lawsuits or they are joining lawsuits to oppose the state of California as a sanctuary state — and it’s not just a few now. Now, don’t misunderstand. Republicans are not gonna win California back in our lifetimes. I don’t think that. But I can tell you this. There are more people living there than we think who are fed up with it — the socialist nature of that state, the destructive policies of the leftists of that state. They’re not just sitting there and accepting it. They’re doing what they can to fight back against it, and these revolts on sanctuary cities is one aspect. There are elected people in the state of California pushing back on this. This is requiring a lot of courage. These people are still in a minority. There’s a governor’s race with a primary there on June 5th. There’s a fairly good Republican candidate, John Cox, a rich guy, self-funding. He didn’t vote for Trump so can’t say he’s a Trumpist, but he did get Trump’s endorsement. 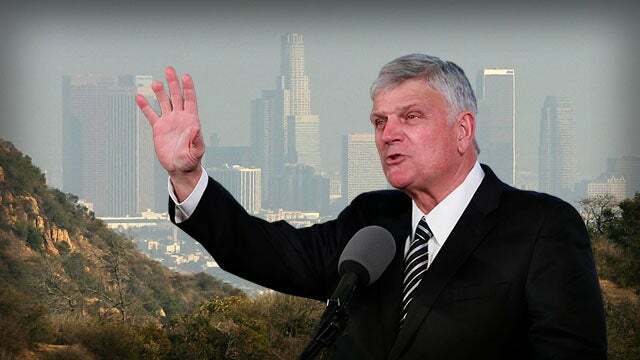 You may snicker at this, but Franklin Graham is on a massive missionary tour of California, as though he’s going to the Third World. So another city has rebelled. This is Carlsbad, by the way. “The Carlsbad city council voted 4-1 the other day to support the Trump administration’s lawsuit against sanctuary cities and the policies in California.” Carlsbad’s near San Diego. Its board of supervisors is all Republican. They also voted in April to support the federal government’s legal action. RUSH: This is Chris in Carson, California, in LA County. Great to have you, sir. RUSH: I’m sorry! My bad. CALLER: That’s okay. No problem. Rush, what an incredible thing. My husband came back last night from Franklin Graham’s speech, and we’re noticing a red wave in California. I live in Los Angeles County, which is probably the worst taxed county in all of California. Unfortunately we have all the Moonbeam, Pelosi, Schiff, all these people that just don’t care about the Californians. So I just wanted to give you I didn’t want that we are experiencing a red wave here in California, and that is huge. RUSH: Can you tell me a little bit about it? I mean, calling it a red wave is a pretty big thing. Give me a couple examples of what you mean. CALLER: Well, you see, people are out there just getting votes for, like, John Cox. I just placed my vote on one of those ballots, and yesterday, everybody was telling me that they’re voting for John Cox, which is awesome. He’s a Republican. CALLER: He’s an incredible Republican, Christian man and everything. So everybody is now pushing for all the Republicans and all the conservatives and all the religious people to start doing this red wave. RUSH: Yeah, you mentioned that you attended a Franklin Graham revival last night. Is that right? CALLER: No, my husband did last night. RUSH: Well, you know, this is my sense. With all of these local communities suing the California government for its sanctuary city policy, not wanting to be part of it, it’s more than you think. And there are people, communities adding to the opposition every week. Franklin Graham does have a revival up and down the state. It’s not gonna be reported on, but these kind of things are indicators that the status quo is under serious attack.